Good question. 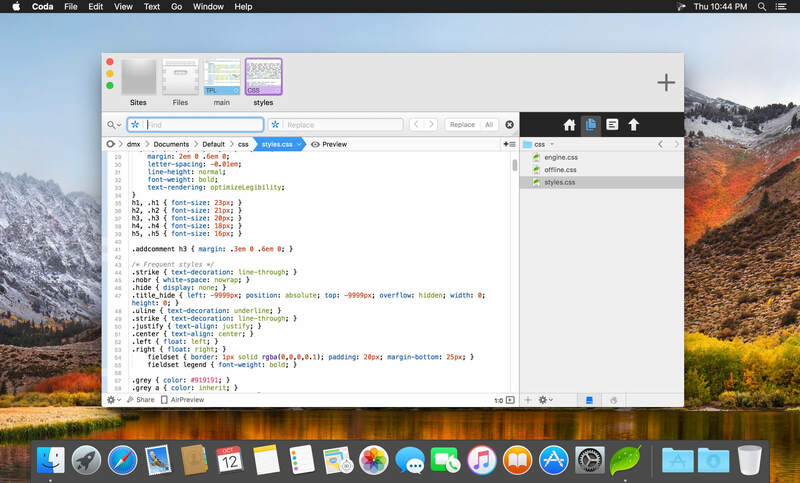 Coda is everything you need to hand-code a website, in one beautiful app. 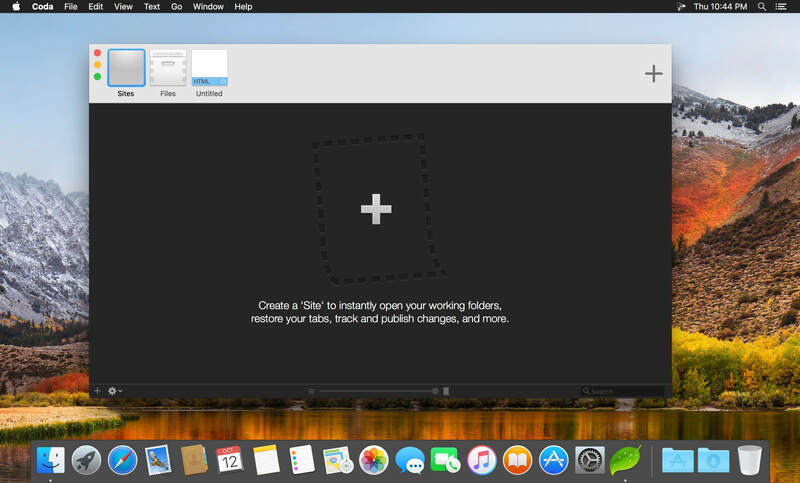 More than anything else, Coda is a text editor. It’s got everything you expect: syntax highlighting for tons of languages. Code folding. Project-wide autocomplete. Fast find and replace. Indentation guides. Automatic tag closing. Fast commenting and shifting of code. The works. But Coda’s editor has features you won’t find anywhere else. For example, the Find and Replace has this revolutionary "Wildcard" token that makes RegEx one-button simple. And as you type, Coda Pops let you quickly create colors, gradients, and more, using easy controls. There are nice touches everywhere. But an incredible text editor is just a nice typewriter if you can’t easily handle all of your files — from anywhere. Coda has battle-tested, deeply integrated file management. Open local files or edit remotely on FTP, SFTP, WebDAV, or Amazon S3 servers. Use the Files tab and move, rename, copy, transfer from server-to-server... anything. Track local changes for remote publishing. There’s even support for Git and Subversion. Then you’ll want to see what your code looks like. 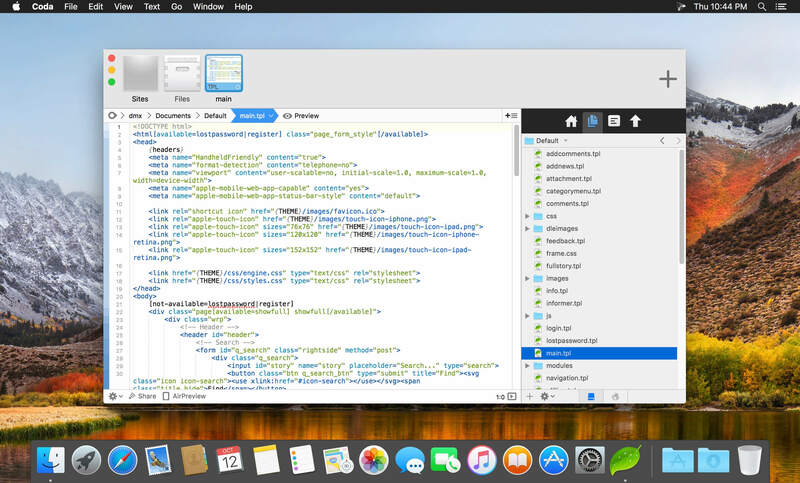 Use our WebKit Preview, which includes a web inspector, debugger, and profiler. Then, on top of that, we added AirPreview, a revolutionary feature that lets you use your iPad and Diet Coda to Preview pages as you code on your desktop. Believe it or not, we’ve just scratched the surface. Open Coda’s Sidebar to discover a rich set of utilities that make you work better. Like Clips, which let you create frequently used bits of text that you can insert into your document with special triggers. And project-wide Find and Replace that’ll work across multiple files. There’s also an HTML Validator, a Code Navigator, and more. Finally, hiding behind the Plus button in the tab bar is a built-in Terminal and MySQL editor, two amazingly powerful Tab Tools. The Terminal can open a local shell or SSH. MySQL lets you define structure, edit data, and more. And it’s all wrapped up in our Sites, which get you started quickly. Opening a Site sets your file paths, your root URLs, where your files Publish to, source control settings, and more. And with Panic Sync, our free and secure sync service, your sites follow you on any computer.